As the year 2013 draws to a close, I have been thinking a lot about what lessons I've learned from blogging this year. It's actually hard for me to summarize this year at Journey to Surrender. It is one in which I seriously considered ending my blogging endeavors altogether, although I ultimately decided that my heart won't allow me to lay it down - at least not yet. The state of marriage in the US weighs heavy on my heart. The news is mostly not very good. Marriage rates continue to trend down significantly. More children than ever are being born out of wedlock and cohabitation rates have soared. People just aren't as marriage-minded as they used to be. These are the unhappy, hard facts. Marriage weighs on my heart because I know these hard facts also weigh on God's heart. I am compelled to continue plugging away at this marriage thing because it matters to Him. A lot. Marriage was his creation, and it pains Him to see it demeaned and diminished. The struggle for me is that I want to do much more than I am able to do. 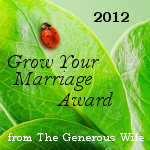 I want to reach more people with the great news of God's design for marriage. 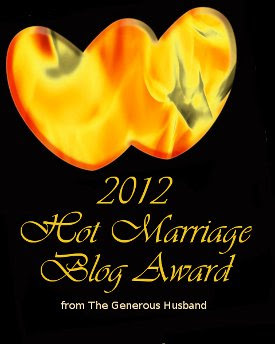 I want to write more, teach more, and help more couples discover and attain all that God has for their marriage. I've got nearly 100 notes in my "Post Ideas" folder. I have dozens of initiatives waiting in the wings. I don't lack ideas, I lack time.And more time isn't in the cards for the foreseeable future. When you have a demanding full-time job, blogging is just hard. I can see countless opportunities and ways to do this thing "better." The difference between where I am in marriage ministry and where I want to be is great - sometimes discouragingly so. I could give you a long list. For now I continue to just do the next thing, to write the next post, even when it's been longer between posts than it should have been (as with this one). I do what I can in other areas, with social media, with book and other writing projects, and with leading small groups in our church. I want to be faithful, and I will continue to press into what God has called me to while I wait for "what is" to catch up to "what could be." Of course, it's not easy to wait while bearing a weight. What weight have you been bearing? What weight has you in a season of waiting for fulfillment? What area of your life do you see some misalignment between "what is" and "what could be?" 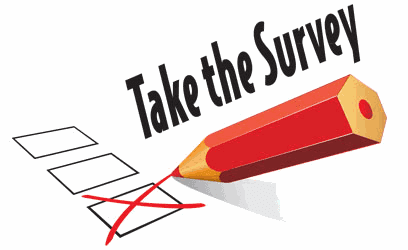 Is it the weight of wanting more out of your marriage? 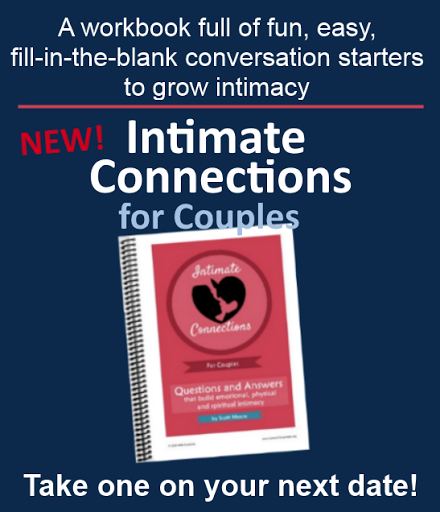 More emotional, physical or spiritual intimacy? More passion? More communication? More trust? 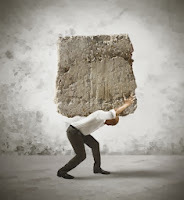 Do you struggle with the weight of financial burdens? Or health issues? 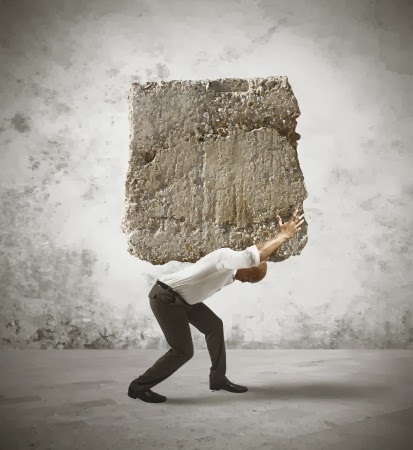 Do you bear the weight of issues with your children or extended family? Unemployment or underemployment? There is good news for those of us who wait with a weight. His name is Jesus, and He is our hope and our confidence that our wait is not in vain. Whatever you find yourself longing for, whatever you find yourself wanting and waiting for, take heart. God is good and has only good intentions for you and me. Even when I am not, He is eternally faithful. Do the next thing you know to do. Practice being thankful. Out loud. Soak up the promises of Scripture. Think on them often. Release control to the Lord. He is trustworthy. When you take control back, release it to him again. Maybe you can tell that I mostly wrote this post for me. If you find yourself in a similar season of waiting with a weight, I hope it offers some encouragement to you as well. by the power of the Holy Spirit." Thank you Scott and Amen. Finally read this, and so glad I did. You have some words of wisdom that I needed to hear. Thank you and blessings for your ministry in 2014!